While most children take for granted a warm pair of socks in winter to help stave off the cold on winter days out-of-doors, others struggle for the lack of something as basic as a pair of socks. 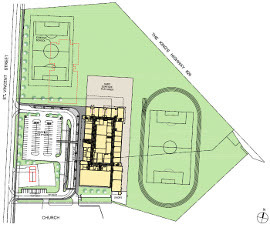 The Bluewater District School Board is holding a public meeting to receive community feedback regarding the design of the new Junior Kindergarten to Grade 12 school that will soon be built to replace Georgian Bay Community School in Meaford. Members of the community, including students, parents/guardians, staff, and municipal representatives, are invited to attend the meeting on Monday, December 11, beginning at 7 p.m. in the gymnasium of the current Georgian Bay Community School. All eyes will be on fourteen-year-old Nolan Smith during the Ontario Secondary School Association (OSSA) open tennis competition in June in Toronto, where competition for the provincial title will be “tough”, he says, but nothing the fourteen-year-old Grade 9 student from Georgian Bay Community School can’t handle. The Bluewater District School Board is expanding its presence on social media to enhance communications with parents/guardians, students, communities, and other stakeholders.